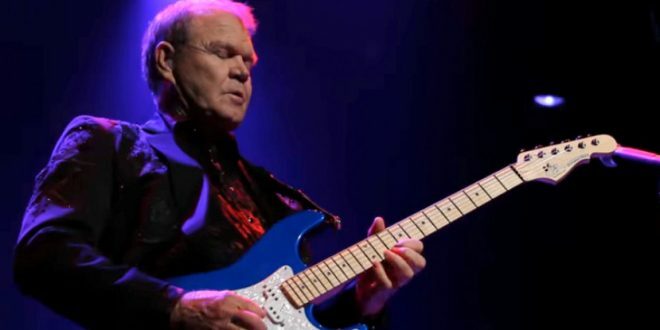 Country Legend Glen Campbell Dies At Age 81 - Joe.My.God. Glen Campbell, the indelible voice behind 21 Top 40 hits including “Wichita Lineman” and “By the Time I Get to Phoenix,” died Tuesday. He was 81. A rep for Universal Music Group, Campbell’s record label, confirmed the singer’s death to Rolling Stone. During a career that spanned six decades, Campbell sold over 45 million records. In 1968, one of his biggest years, he sold more than the Beatles. In 2011, Campbell, who was 75, revealed that he was diagnosed with Alzheimer’s disease. In June of that year, he announced he was retiring from music due to the disease. He released his final album of original music Ghost on the Canvas (with guests Billy Corgan, Paul Westerberg and Jakob Dylan) and embarked on a farewell tour with three of his children backing him.